A project is started with certain set of activities that set basic principles in place: the people involved, the work required, and the time available. Every project's engineering activity starts with the Project Hand-over Meeting. This marks the beginning of the development process, and is attended by relevant Marketing persons, the Project Lead and the Quality Lead. It is assumed that business relationship and payment details have been worked out at this point. 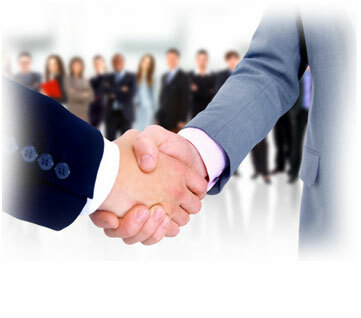 The client is sent a Project Invitation e-mail listing the Project Lead, Quality Lead and Relationship Manager. The Project Lead is the primary contact point, and responsible for the over-all project. You may escalate issues to the Relationship Manager when you find the need. Thereafter, Gap Analysis and Specs Clarification are performed by the Project Lead. Skills and expertise required are identified, and knowledge areas listed. The Project Lead draws the client to clarify and sign-off on at least 80% of requirements. Some areas may be left flexible on purpose. Early project activities include producing an UI prototype, architecture/design documents, database design, sub-systems identification, team building, quality planning and Stage Delivery Planning. The Stage Delivery Plan identifies Stages, Stage Sequencing, Stage Manpower planning and Stage Milestones. Client milestones are married into the Stage Plan, and the Stage Plan is sent to the client. Each Stage is a maximum of 10 weeks (or more), and has its own Work Breakdown Structure. Milestones, responsibilities, task sequencing and parallel activities are evolved during Stage Planning.